Brand-with-a-capital-B has become the yardstick to measure every commodity around us. Is it the case with your health insurance company too? We often determine a company’s performance on the basis of its products’ durability, longevity, quality, style, and the after-sales services offered. There is a reason why iPhones or iPads rule the smartphone market, why Savile Row suits are considered the best in the lot, and why Life Insurance Corporation of India (LIC) has the majority market share in the life insurance industry. Why we all need a comprehensive health insurance policy is a no-brain. It’s an essential necessity of life that we cannot negotiate with. Leading best health insurance companies in India enables us to financially prepare for unforeseen medical emergencies and planned hospitalization well in advance. This prevents us from having to take the burden of arranging for finances at a short notice. Such insurance plans generally include hospitalization charges, hospital room costs, diagnostic and medical tests, pre and post hospitalization services, etc. different health insurance policies offer different features and benefits, each of them customized to unique health and medical needs of individuals, families and corporates. All you need to do is undertake a thorough research of the available health insurance policies that are designed to meet your requirements and then take a conscious decision. Have a clear idea about your health insurance needs: Health insurance needs differ among individuals. What you expect from a health insurance plan may not be the same as that of another individual. Hence, insurance companies offer a range of health insurance plans, each of which are customized to suit varied needs. Consider whether you want to purchase one for yourself only or for your family, the number of children and other dependent family members, hereditary illnesses (if any), pre-existing diseases, etc. These parameters will determine the covers you should opt for. Choose an health insurance company that offers you sufficient coverage on your health insurance plan. Additional coverage of illnesses: Health insurance companies offer add-on riders that provide additional coverage on the payment of some additional nominal premium, over and above the basic health insurance plan chosen by you. Some of the popular add-on riders are critical illness riders, room rent waiver, maternity rider, etc. These supplement the coverage on your health insurance plan and enhance its effectiveness. Every rider may not be relevant for you, but certain riders like Critical Illness rider may be most useful in the time of need. In case your family has a past history of diseases like cancer, certain heart ailments, etc., a critical illness rider might especially be beneficial for you. Claim settlement ratio: This ratio reflects the efficiency of the health insurance company and the chances of a quick and easy settlement of claims. The higher the claim settlement ratio, the higher is your scope of getting your claim settled when need be. Opt for your sum assured wisely It is advisable that you opt for a sum assured that is higher than what you feel would be sufficient for you. The rapidly rising medical expenses, coupled with inflationary effects, may make your bill run higher than your estimation. Network of authorized hospitals Not just an extensive network of hospitals, your preferred health insurance company should also ideally include ones in your vicinity or those that you frequently visit. But what should you look at while picking the best health insurance company in the market? Claim Settlement Ratio: The most important reason to buy a health insurance plan is to be assured that all, or most of the medical expenses incurred in case of a medical eventuality get paid by the plan. But what if the insurance company rejects our claim? An insurance company’s claim settlement ratio, or CSR, reflects the proportion of claims settled by it against the total claims raised. A higher ratio means that higher claims have been fulfilled by the company. This also increases the probability of your claims getting fulfilled, when the need arises. Solvency Ratio: This is basically the proportion of assets to the proportion of liabilities. A higher ratio indicates that the insurance company has a higher proportion of asset holdings. This is great news for the customers, because in case of bulk claims, the company will have enough resources to pay off the claims of the customers. Claim Settlement Procedures: At the time of getting a claim settled, it is very important that the health insurance companies has simple procedures and options. The less are the claim formalities, the more time and effort is saved. Turnaround Time for Claim Settlement: Settling medical claims can become a bit of a hassle if the insurance company takes a long time to pay off the bills. In such a scenario, the burden of meeting the hospital expenses can fall on your head. Needless to say, it can be a massive financial burden. So, it's best to choose insurers that have a faster claim settlement process, which might also include in-house claim settlement. Network Hospitals: Every health insurance company has a list of tied-up hospitals called Preferred Provider Network or PPN, where the facility of cashless claim settlement is possible. It becomes imperative to check the list of network hospitals to locate ones you prefer in your vicinity. Ideally, a good insurer should have an exhaustive list of hospitals in their network. Business Volume: Business volume means the total number of policies sold by an insurance company and the premium collected. A company with a higher business volume is the one who is trusted by individuals and has a larger market share. This can also be a parameter while judging a health insurer because higher volumes mean greater trustworthiness. Variety of Plans: It is only human to want more. That’s why we are not satisfied with our purchase unless we have gauged all possible options. Even in case of health insurance, health insurance companies often have a considerable range of plans catering to specific needs. Insurance Intermediaries: Agents and brokers are the intermediaries who bring the insurance plans to us. While an agent represents only one company, a broker has the privilege of dealing with multiple insurers. As such, whenever you are confused about the company to get insured with, ask your broker for a bias-free and informed advice. Remember, your broker should be licensed as per the IRDA norms. At the end of the day, we want our hard-earned money to be invested in the best possible avenue. In case of health insurance, where having our claims met is an important criterion, we don’t want our money in the wrong hands, i.e. the wrong insurance company. With the above parameters, now you can easily pick the best from the rest in the market, and buy a health plan that suits your requirement. Established in the year in which India achieved independence, this Delhi-based health insurance company is one of the most well recognized in its field. Its efficiency and reliability of services is evident from its claim settlement ratio, which is one of the highest among the leading health insurance companies in India. 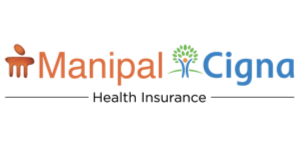 The health insurance products from Oriental Health Insurance, which is a central government undertaking, cater to varied needs of urban as well as rural India. Currently, it boasts of its presence outside India as well in countries like Nepal, Kuwait and Dubai. With an exceptional claim settlement ratio of over 100%, this health insurance company is acclaimed for its products as evident from its record of over 1 crore policyholders. It has an extensive range of insurance products, ranging from bullock carts to satellites. A public health insurance company, it offers customized insurance solutions related to personal, motor and fire insurance, other than health insurance. It has a distinct record of a claim settlement ratio of over 100%, proving its high serviceability. 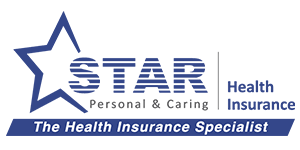 Star Health and Allied Insurance is the first standalone health insurance company that specializes in accident policies and travel insurance, apart from comprehensive health insurance policies. 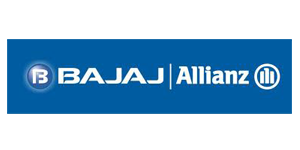 Bajaj Allianz General Insurance was formed due to the joint venture between Bajaj Finserv Limited, which has recently demerged from the parent company, Bajaj Auto Limited, and Allianz SE. Bajaj Finserv enjoys a stake of 74%, while the remaining 26% belongs to Allianz, SE. Formed due to a collaboration between Cigna, a globally recognized health insurance company, and the TTK Group, an Indian conglomerate. It offers an array of health insurance products that are tailor-made to meet the unique health and medical requirements of individuals and families. 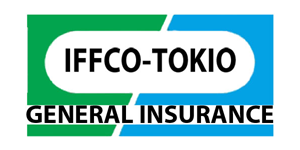 This health insurance company is the result of a joint venture of Indian Farmers Fertilizer Co-operative (IFFCO) and its associates, and Tokio Marine and Nichido Fire Group, the largest insurance company in Japan. 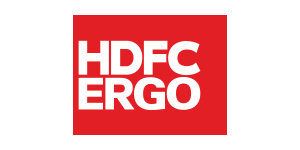 Established in 2000, this is yet another health insurance company that offers an array of health insurance products designed for unique health and medical requirements. 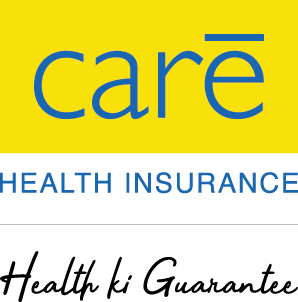 Founded a century back in the year 1919, this health insurance company currently owns more than 2097 branches in India. Armed with extensive experience in the health insurance field, it offers insurance products at affordable rates. This private sector health insurance company, which occupies a market share of about 8%, boasts of one of the highest claim settlement ratios among its competitors, emphasizing on its efficiency in quick and smooth claim settlement process. This health insurance company was formed after a collaboration between Sundaram Finance, one of the most well-known non-banking financial institutions in India, and RSA - the second largest general insurance company in the UK. Royal Sundaram Alliance Insurance was the first insurance company to have introduced the concept of cashless benefit for health claims in the country. 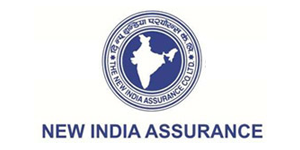 The alliance between Tata Group and the distinguished American International Group, Inc. resulted in the establishment of this health insurance company in the year 2001. Apart from health insurance, it is also acclaimed for motor insurance, lifestyle insurance, travel insurance, etc. Cholamandalam MS General Insurance Company Ltd. was formed due to the partnership between Murugappa Group of India and the Japanese company, Mitsui Sumitomo Insurance Group of Japan. It specializes in a wide range of insurance products related to health, motor, marine, travel and rural insurance for individuals as well as corporate. 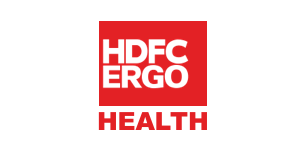 HDFC ERGO General Insurance is a joint venture between HDFC Limited, one of the leading financial institutions in India, and ERGO International AG, which is the primary insurance entity under the Munich Reinsurance Company. The former holds a stake of 74%, while the remaining 26% is held by the latter. The extensive variety of health insurance products are customized to meet the unique requirements related to motor, travel, marine, personal accident, etc. 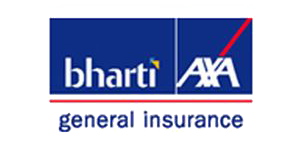 The partnership between the India-based Bharti Enterprises and Europe-based AXA Group, an organization globally acclaimed for its services related to financial protection, set the foundation for this general insurance company in the year 2008. Currently, it offers its services through 59 branches in India. Raheja QBE General Insurance Company Limited was formed as a result of the alliance between Prism Cement Limited and QBE Holdings (AAP) Pty Limited, a subsidiary of the Australian-based QBE Insurance Group Limited. The insurance company is especially known for its corporate insurance solutions that are tailor-made to meet unique business exigencies. 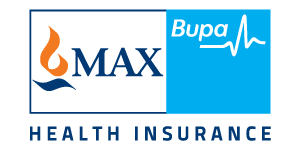 MAX Bupa Health Insurance Company was formed due to the partnership between Max India Limited and UK-based Bupa Finance PLC. It is well known for its health insurance solutions for individuals and families. One of the most prominent health insurance companies in India, Religare Health Insurance has Corporation Bank and Union Bank of India as some of its leading shareholders. Besides, it is actively backed by the founders of Fortis Hospital, another notable name in the Indian healthcare sector. Apollo Munich Health Insurance Company is one of the most renowned health insurance companies in India. It is the result of a collaboration between Apollo Hospitals Group, which is the largest integrated healthcare company in Asia, and the German healthcare organization, Munich Health. The wide variety of products from this health insurance company are customized to suit the varied needs of senior citizens, families, corporate, etc. The subsidiary of Aditya Birla Capital Ltd. (ABCL), Aditya Birla Health Insurance Company Limited (ABHICL) was established because of the joint collaboration between Aditya Birla Group and MMI Holdings, a South African company. Founded in 2016, ABCL holds 51% stake and the remaining is held by MMI Holdings. With its presence in over 600 cities, ABHICL has a robust portfolio of unique healthcare solutions like incentivized wellness and chronic care. ICICI Lombard, a subsidiary of ICICI, one of the most renowned financial institutions in India, offers comprehensive health insurance plans that are customized to suit the unique needs of individuals as well as families. The merger of 4 co-operative insurance societies, Indian operations of 5 global insurance companies, 12 Indian insurance companies, general insurance operations of southern region of life insurance companies of India led to the establishment of United India Insurance Company Limited. The health insurance company is equipped with insurance cover ranging from bullock carts to satellites. Selecting the right health insurance policy isn’t a difficult task, provided you are clear about the benefits that you want from a health insurance policy. Besides, you also need to have a thorough understanding of the policy features. Also, remember to read the policy document before you sign on the dotted line, so that there are no confusions later on. Last but not the least, undertake a detailed background check of the best health insurance companies and especially their claim settlement ratio. This ratio enables you to determine the reliability of their services and their efficiency in processing claims. The higher the claim settlement ratio, the higher the chances that your claim will be quickly and smoothly processed, if and when the need arises. Can an employer deny health insurance? It is not mandatory for employers in India to offer health insurance to their employees. It is left to the discretion of employers to decide whether they want to offer this benefit to their employees. Should you buy health insurance if your employer offers it? Yes, you should definitely buy health insurance from your employer in case the organization offers such a benefit. If you feel that the coverage offered by this corporate health insurance policy is not sufficient to meet your requirements, you can supplement it by purchasing a separate policy. What are the Government Health Insurance Companies in India? How do they work? There are NO standalone health insurance companies run by the government of India. However, there is 1 Life Insurance and 4 general Insurance companies under the Public Sector which provide health insurance products to the public. Health insurance companies have a varied range of plans that they have designed to cater to different health needs of individuals across ages, illnesses, etc. Applicants who meet the required criteria of a plan, as mentioned in the policy document, are eligible for purchasing it. Generally, health plans do not have stringent eligibility criteria, with certain exceptions being related to pre-existing illnesses, medical check-ups, etc. The health insurance plan pays for the medical expenses up to the sum insured in a particular policy year. There are two kinds of claims that health insurance companies settle - cashless claims and reimbursement claims. Every insurance company has their stipulated timeframes for settling both types of claims. What is meant by ‘No Claim Bonus’ in health insurance? When a policyholder does not make any claims on his/her health insurance plan in a policy year, he/she becomes eligible for an increase in the sum insured by a set percentage or a discount on the premium for the next year. The discount rate increases with no-claims made on consecutive policy years. What is ‘Incurred claim- ratio’? What are the health insurance companies with the best incurred claim ratio? Incurred Claim ratio is the percentage of claims settled by an insurance company. For instance, when an insurance company has an incurred claim ratio of 98% in a certain financial year, it means that 98% of the total claims that it had received in the year has been settled within the expected timeframe against the premium earned in that year. Can I switch between health insurance companies? Yes, most leading health insurance companies in India enable policyholders to switch to other companies through the portability feature. How health insurance companies offer cashless claims? Health insurance companies have a network of authorized hospitals. A policyholder of a certain insurance company can avail cashless benefits on hospitalization and medical expenses incurred in any of their network hospitals by showing their cashless health card subject to approval by the insurance company. What are the standalone health insurance companies in India? What is a Wellness Program? Which health insurance companies offering wellness programs? A Wellness Program offers reward points to policyholders for leading a healthy lifestyle. It is an incentive for policyholders to lead a healthy life. How do health insurance companies work? Health insurance companies have a varied range of plans that they have designed to cater to different health needs of individuals across ages, illnesses, etc. Applicants who meet the required criteria of a plan, as mentioned in the policy document, are eligible for purchasing it. Generally, health plans do not have stringent eligibility criteria, with certain exceptions being related to pre-existing illnesses, medical check-up, etc. The health insurance plan pays for the medical expenses up to the sum insured in a particular policy year. Can I change my health insurance company anytime? Yes, a health insurance policy can usually be ported anytime before 45 days to 60 days from the expiry date of the current policy term. However, it may vary from one insurer to another.